“Hate Crime and Islamophobia Increase After Trump Victory.” A few days after the U.S. election, that was the lead headline on The National, an English-language newspaper published in the United Arab Emirates. That headline was far from unique. Much of the world watched, appalled, while the image and substance of America appeared to unravel because of voters’ endorsement of a candidate who embraced bigotry of various kinds. Muslims are not the sole targets of the viciousness that Donald Trump’s election has unleashed. African Americans are seeing Confederate flags and racist graffiti to an extent unprecedented in recent years. Hatred has become mainstream. 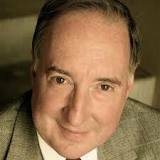 American soft power – a facet of foreign relations that relies on attraction rather than coercion – has been severely damaged, and this will have a devastating effect on the role of the United States in the world. Even when their country was engaged in foreign misadventures such as the Iraq War, the American people remained widely admired for their freedom, imagination, and ingenuity. The reservoir of good will never ran dry, but now the dam has sprung a giant leak. The Trump presidency will be a reality, and U.S. public diplomats must deal with its effects. 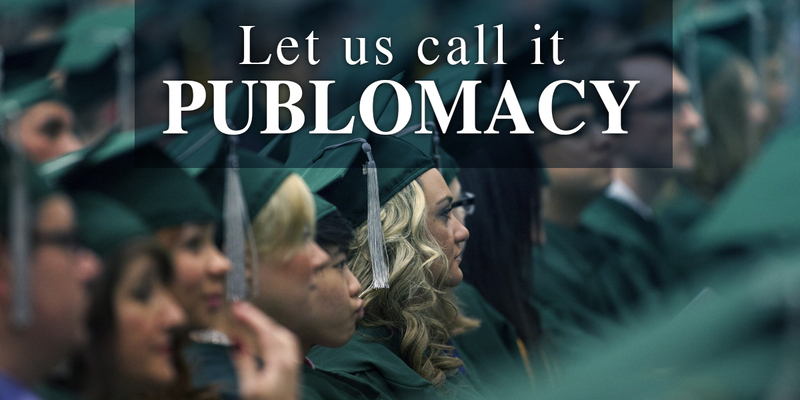 Although it may be logical at this point to be pessimistic about public diplomacy during the coming years, it would be wise to hold off total despair at least until we know who President Trump and his secretary of state will appoint to under secretary and assistant secretary positions. But regardless of who from the ranks of Trump supporters end up with these jobs, it is not too early to say that the often-underrated Foreign Service Officer will have greater responsibility for sustaining public diplomacy, with perhaps minimal support from above. Professionalism has always been needed as a counterweight to politics, and now that will be of extraordinary importance. In the field, the FSO will continue to serve as the backbone of American diplomacy, while operating under unusually difficult conditions. Many foreign governments are likely to distrust Trumpian America, and their publics even more so. Assuming (and this is definitely not a safe assumption) that Trump’s appointees and the Congress see value in public diplomacy programs and fund them accordingly, American diplomats throughout the world will still need to calibrate their work to match new realities. Regardless of how long the “Trump era” lasts – four years? eight years? longer? – bedrock elements of the American character will remain unsullied by the kind of behavior exhibited during this year’s campaign. American arts and intellectual life will retain their integrity. American education will continue to be a magnet for millions of young people overseas. These are public diplomacy assets that in their essence will not be wholly undermined by the state of affairs in Washington. Perhaps the greatest challenge awaiting public diplomats will be helping foreign publics differentiate between traditional American values and Trumpian values. Can people of color feel safe while visiting America? Can women expect to be respected while in the United States? Is America still worthy of emulation? Answering such questions will be difficult, especially if campaign bombast becomes presidential bombast. 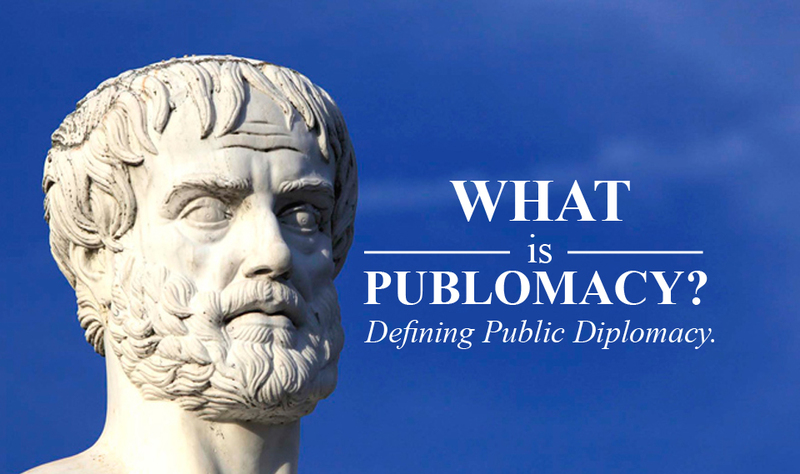 What is certain is that public diplomacy will be of growing importance as more people throughout the world benefit from having access to the tools of the information revolution. No matter who the American president happens to be, reaching out to foreign publics will be crucial to enhancing U.S. foreign policy and the nation’s long-term security. Perhaps the Trump administration will understand this. 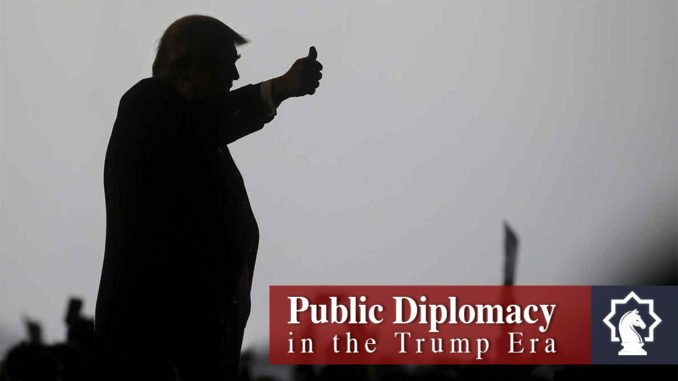 Share the post "Public Diplomacy in the Trump Era"